Stand alone & automatic winding system 4-6-8-12-16 spindles. 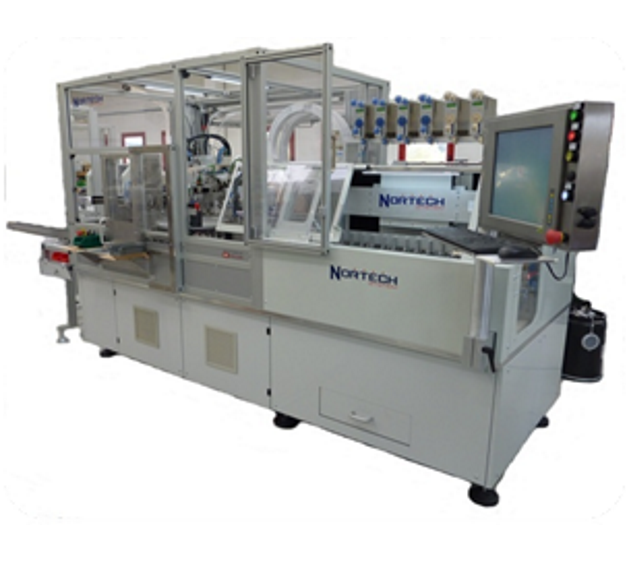 Rotating flyer and in slot needle winding machines for brushless stators. 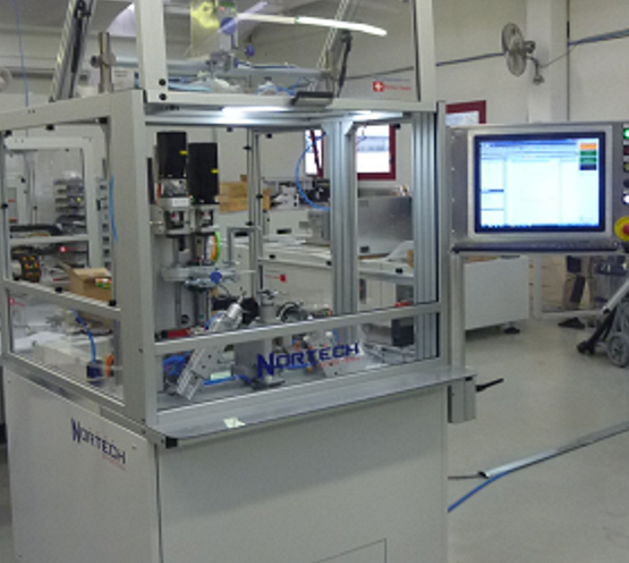 Thanks to a trained technical team, Nortech System SA. 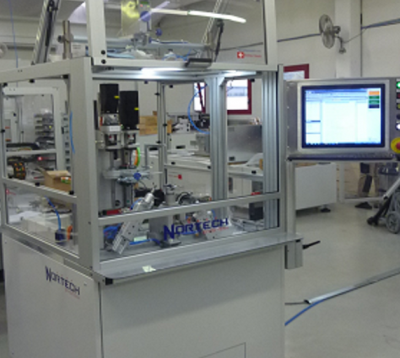 designs and manufactures standard machines and automatic systems to perform electrical windings of motors and coils. High speed spindles lubricated for life. Programmable tilting for axial/radial wrapping. Closed loop hysteresis brake electronic tensioners. Configured according to the customer’s need, are made up of compact modules based on welded structure complete of CE safety shie. SMH linear interpolated sector open poles winding m/c. 1 or 2 stators in parallel according to the technical characteristics. Winding machines for thermo bonded coil. Winding machines for resolver rotor & stator. Winding accessory as: Taping machines, electronics tensioner, skeiner, electric inverter welding, soldering pot , laser spot welding, IDC contact insertion, pin inserting. To Nortech System you will find smart solution for your electrical winding needs. We are specialist. Integration of BTSR best tensioners for thin wires 0.024 to 0.07 mm. 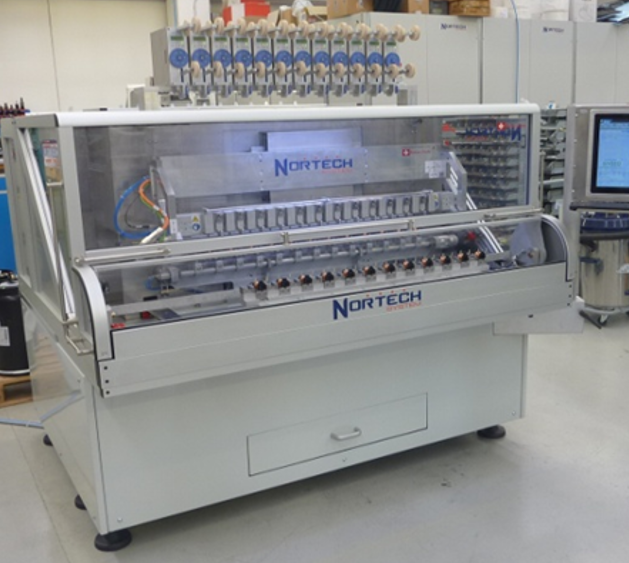 Nortech System is an integrator of “BTSR”, the best tensioner for thin copper wire with diameter from 0,024 to 0,07mm. We will serve your needs! Nortech System SA is a company specialized in solution for the manipulation of magnetic wire and automatic machines for production of electrical wound components and brushless motors.